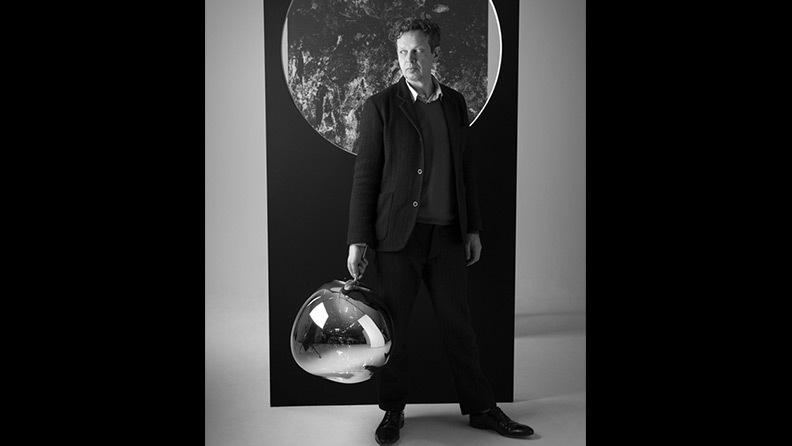 Tom Dixon is a British product designer with an inspiring vision and career. Entirely self taught, he opened his first studio in London in the 1980s. Dixon’s early designs married the welding torch to found objects to create new everyday objects and furniture. 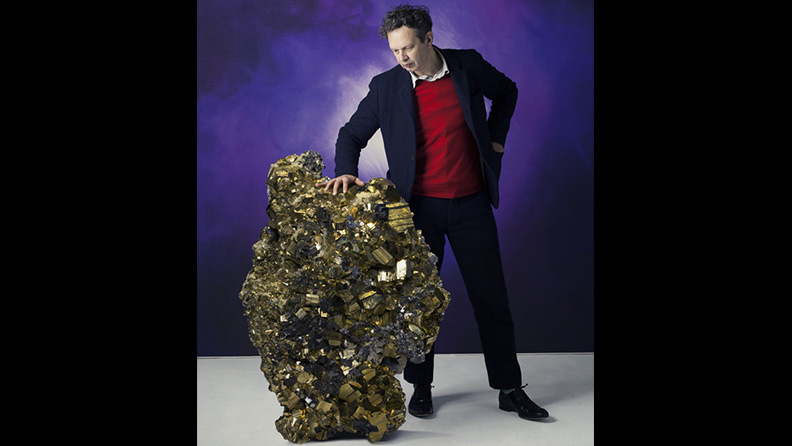 By 1992, he became the creative director of Habitat and in 2002 he took the unusual step of opening his own company: Tom Dixon. Based in London’s Portobello Dock, the company develops its own designs and prototypes, and production, distribution and marketing are all done in-house. Just as in his early days, a variety of metals including copper and brass are often the basis of his designs. Ever the innovator, however, curiosity is the major force in Dixon’s career: he constantly pursues the mastery of new materials and techniques, as well as new business models and unusual cross-fertilisations with other disciplines. In 2007, Dixon established the Design Research Studio in his West London studio, furthering the scope of his practice as well as the discipline as a whole. We sat down in The Dock Kitchen restaurant, another of Dixon’s many projects (he recently opened a restaurant in his studio) to discuss his penchant for changing the game, the future of design and design practice, and Dixon’s unique approach to making. Your design career started when you took a detour from the music and club scene in the early ‘80s and experimented with welding. Do you sometimes still feel prompted by the impulse to change direction? Yeah, and I think it will probably get easier almost as the organization (of the brand) gets better. I did change from being creative director at Habitat to doing my own label, which was a bit of a shock to the system, once again. And before that I changed from being a small independent maker of metal-work to being a creative director in a big high-street company. So, I hope there’s a few more shocks to the system left in me. And that’s the beauty of being a designer: in a way it’s slightly more transferable than some other trades. Every time you work with a new category, you discover a whole new world for yourself. I like the job because it provides the opportunity to explore other worlds and also to do it as an amateur, in the purest sense of that word. You know in French amateur is somebody who loves doing something not-for-profit, but for fun. It doesn’t mean somebody who is not skilled. I think there is also a tradition in British culture of people doing things almost like hobbies, which I think I ascribe to. Darwin was an amateur for instance. It allows you to look at something from a different angle. This restaurant is quite a good example. I had no desire to be a restauranteur, but when we moved into this studio, there was a kitchen. The value of food to commerce and design is something I learned in Italy. You spend so much more time discussing stuff, you know; the Americans are so focused on “the meeting” and “get the meeting done," or on one issue or thing, whereas the Italians will actually not talk about it, or skate around it, and spend two hours like this, while enjoying a good meal. Sometimes those decisions, are better decisions, as a result of not tackling a problem head on. Are there moments in which you find yourself taking a more conservative direction instead, or opting for something that feels “safe," or perhaps classic? I think that as any business grows bigger, it will find itself in a mid-life crisis. There’s a really huge pull towards repeating yourself in whatever you do and you have to really force yourself not to do that. That’s the difficult thing. So I think all too often you have a hit product or something and everybody wants you to do another one of them. My whole career is about trying to avoid being typecast. And that gets more and more difficult as you surround yourself with more experts and people that say: we sold this last year, so we need to sell it again. So there’s a real danger, for any company, to become conservative. Has nostalgia played a specific role at any point in your career as a designer? Is it nostalgia? I still like things that are made by hand or with human contact, which can be seen as nostalgic, or as the future. I do really appreciate and have often felt nostalgic for the ‘60s or the ‘30s where you feel that there was a real moment of change. I think for the first 30 years of my being a designer I thought it would have been so much better to have worked in the ‘60s with all of those amazing designers in Milan, or why didn’t I work in the ‘20s when Paris was alive with all those amazing people, or in the ‘70s in America. But actually, I think now is one of those times when radical change is happening. It’s probably happening a bit slower and imperceptibly in the manufacturing industry than in the music industry or in publishing, where there have been seismic shifts that aren’t always for the good, but they certainly force you to be more creative in your output and offer huge opportunities as well. The word innovation, is abused to the point that it often loses its meaning. How would you describe innovation today? What’s the best way to defy a notion that has ended up becoming conformist? I guess there are quite a lot of words that are overused and abused. Design is more abused than innovation. I think innovation is slightly more specific in that way: if it’s not new, it’s not innovation. I just take a simplistic view: if you’re able to make something that no-one has seen before or improve things in a perceptible way, then that’s innovation. Words of any type become redundant, innovation might have reached that level, and perhaps we need to find another word for it, but I’m not worried about the misuse of the term. I’d like to do more of it. I prefer it to the endless re-hashing of the same things over and over again, or nostalgia for that matter. What are the contemporary challenges faced by your approach to design and the ways in which you develop the creative process? What stimulates you and what bores you? I get bored very easily, but luckily I’ve built an infrastructure around me that allows at least a degree of self-determination. So it’s almost like the company has been set up so that I can produce stuff at the rate of a fashion company. I don’t think the objects should be fashionable, they need to have longevity to them, but we do things on an almost seasonal basis, by producing newness all the time. So if I get bored or repeat myself, it’s really my own fault. This is the advantage of having your own label. It’s a significantly different model to most of the other product designers that I know because most of them are working in studios as a service industry for production companies or production brands. We’re distinct in that we do our own product development, our own design, our own distribution, our own marketing. That’s what makes it really quite exciting, but it comes with its own challenges and nightmares as well. A lot of designers will say to me “Oh it’s so nice to be able to do what you do, and have your own products all together, and be able to show them as your own body of work.” Most designers will have one lamp with one company, a chair with another, an accessory with a third one, but it also becomes a bull in chain. We have warehouses full of stuff that we have to sell. So, I don’t think anything is perfect, but I’m interested in seeing whether designers can act in a slightly different way and take ownership of their own identity and their own point of view. Very often designers are used more for communication than they are for shape-making or maybe they are used to make extraordinary things for marketing, rather than something they can sell in bigger quantities. In a brief video you describe the welding process. You almost sound like an alchemist. The know-how of a welder must depend a great deal on sensorial experiences. With this sort of background, do you ever draw a line between the ‘design process’ and the ‘hands-on making process’? I’m largely pre-computer. The designing process has changed a lot, but I still see a real distinction between people that started designing in a virtual world and those that effectively had to sculpt things out of models and the rest of it. There is something about making physical objects where you need to make a full-scale mock-up or prototype. So the process for us is still, I think, very tactile. I don’t think that virtual reality will really substitute that knowledge. When you design on the computer, in terms of materials, you click on a button and suddenly something becomes transparent or something will be cement or steel or plastic. More and more sophisticated programs will tell you whether it will work in physical form. But I’ve always sort of had to know how I’m going to produce something rather than make a skin and then find a way of making it. You see that a lot with architecture, where people are able to make these extraordinary buildings, and they can make them, but underneath you’ve still got these straight bits of steel and these flat panes of glass, and then architects are just sort of curving little bits of it and adding them on as a fake skin over the structure of the building. But all of that is going to change very quickly as more sophisticated and affordable manufacturing methods come through in more interesting materials. That’s going to transform so much of the made world in a way that we’re only starting to see now. We’re at the border of a really unbelievable time which may well make a lot of us redundant, just like in the music business. A discourse around design is often a discourse around the market: how has this relationship changed over time and what do you think lies ahead? 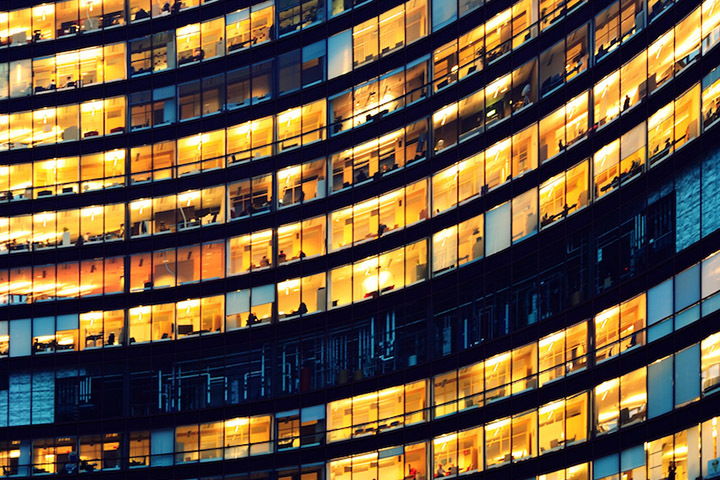 I see a separation between the design people and those who do sales and marketing. I always slightly depended on selling something, so I never really did design in a theoretical way at college or a theoretical way in a studio. It was just, you make stuff; you have to sell it. So I don’t see enough of a discourse, in a way. I think there’s a lot of very heroic conceptual design; everything is conceptual now and not often about craftsmanship or specific personal skills, which is fine. 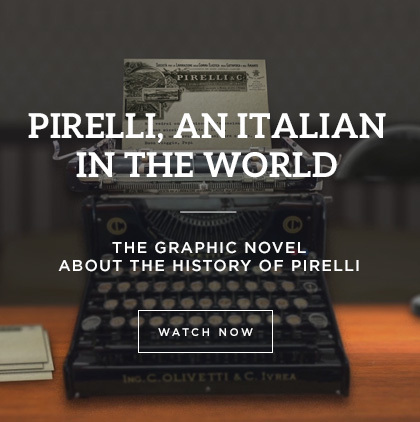 But I don’t see, at least in design magazines, so much discussion about functionality or, like in the ‘60s, a great big discourse about design actually changing people’s lives, which is what I learned from the great Milanese designers of the time. There was a slightly more revolutionary fervour then, believing that design could actually do something. In a way that’s a bit sad because you get the feeling that probably design could actually make a big difference to all kinds of things. Design has a breadth about it that isn’t always really about the object. But there’s a lot going on in terms of designing for systems, softwares, methods and apps to increase the efficiency of things – I think there’s still hope. If you were to start your design career today, what do you think you would feel attracted to and why? Somewhat like the last answer, I want to change things for the better. I’d personally be interested in things like bio-mimicry or new material groups that are coming out which are almost mature. Definitely ecological progress. If I was doing it consciously, rather than just falling into it, I’d definitely have an interest in things that really can improve lives, like water purification and new methods of growing things, or solar systems, or wind power. Something useful, damn it! You know, I make decorative things and I feel like design could have a bit more of a life changing impact. But maybe I’m just working my way towards it: it’s the next stage. What’s the meaning of luxury today? The classic answer to that is space; time and space. 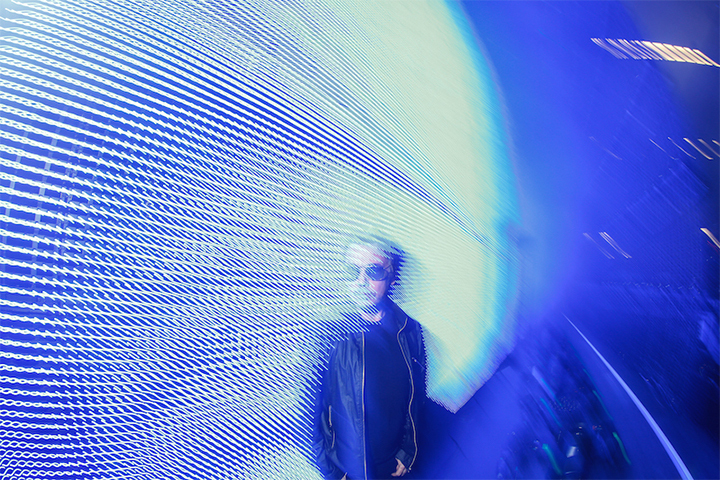 I certainly think that being able to shape your own environment is a luxury as well, which is sort of what I’ve done. I’m busy building myself a tower across the road, that’s half way done, where I live in my own infrastructure. I have been able to shape it and I think that’s luxury. When you go to places like Monaco and you see all these people who’ve got the same watch or the same car or are carrying the same hand-bag, I just think all these people have got so much money and instead of using it to create their own uniqueness, they’re using it to create their own sameness. 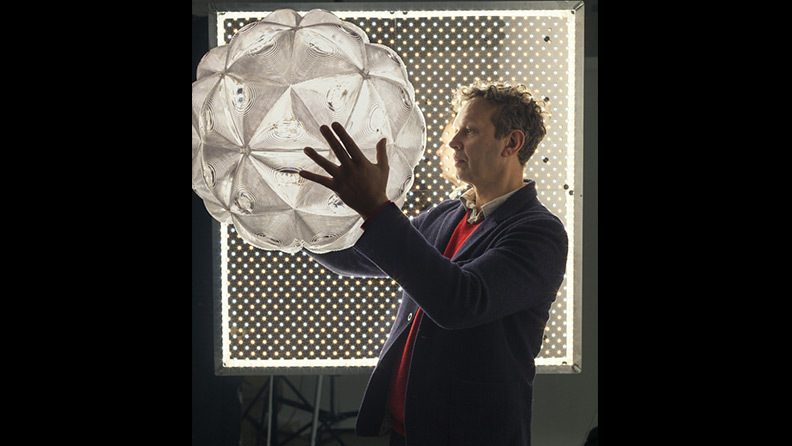 Tom Dixon with one of his creations. The Melt is a series of distorted spherical lamps that create an optic effect and cast an ethereal luminosity on their surroundings. Dixon was recently featured in Most Loved, a documentary about his work produced by the magazine Dezeen, in which he discussed how he came up with some of his most well-known products. 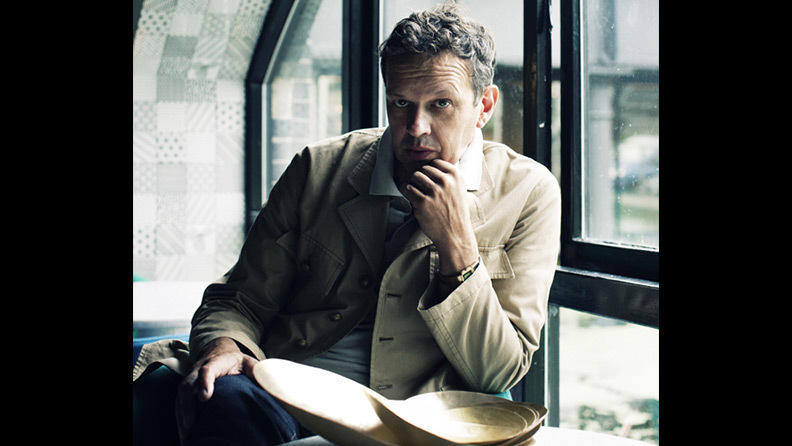 Tom Dixon was born in Tunisia in 1959. A household name in international design over the past three decades, Dixon holds an honorary degree from the University of the Arts London and has once described himself as "a self educated maverick whose only qualification is a one-day course in plastic bumper repair." His most impressive works have been exhibited at the Pompidou Centre in Paris and the MoMA in New York. In 2002, he established his eponymous brand. Critics have described him as a "vertebrate designer" because, as it has been noted, his focus "typically lies in the structure, or bones of an object."